Calendar: «World Youth Skills Day». «Variety of skills» illustrated quotation. Youth Skills, free quote pictures for Facebook, Twitter, LinkedIn, Reddit, Pinterest and other social networks. 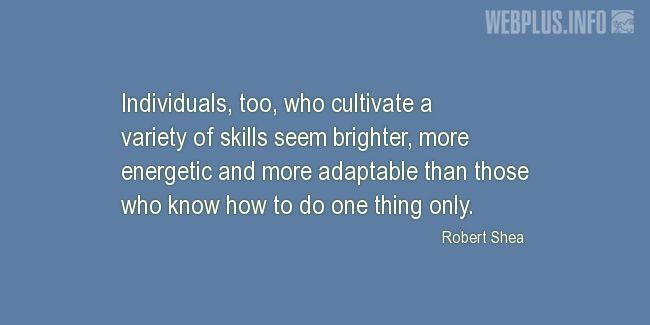 Individuals, too, who cultivate a variety of skills seem brighter, more energetic and more adaptable than those who know how to do one thing only.